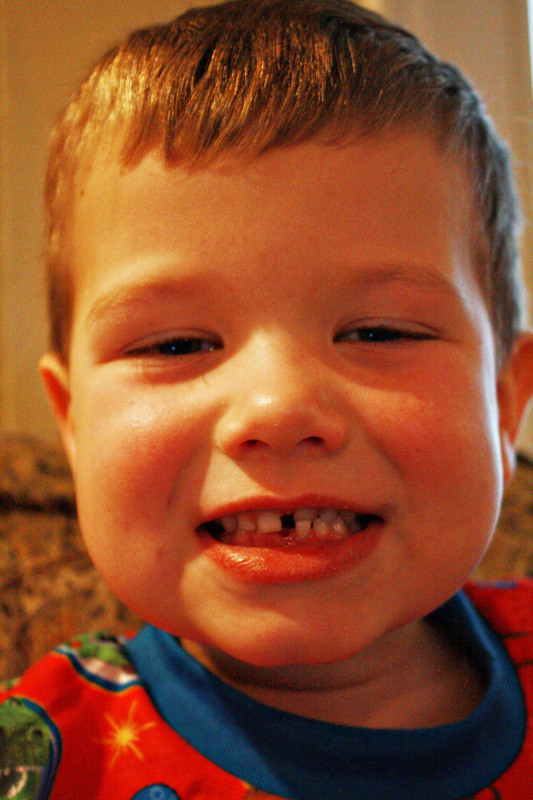 Look who lost his first “toof”!! He looks a lot like his older bro in the first two pictures. So cute! 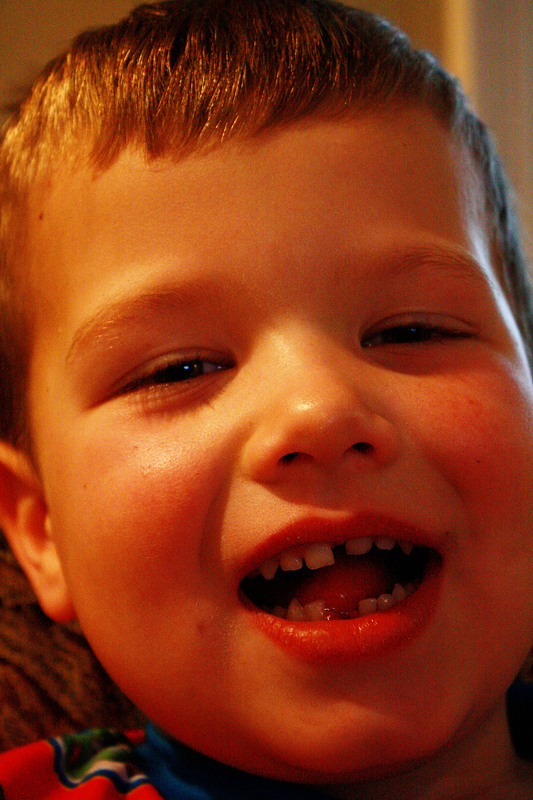 Did the toothfairy have to work overtime? Aww, he looks so cute and excited! HOLLY MOLY!!! That must be the toof-fairy’s dream, two teef in one trip. ahhaha those are great pictures. 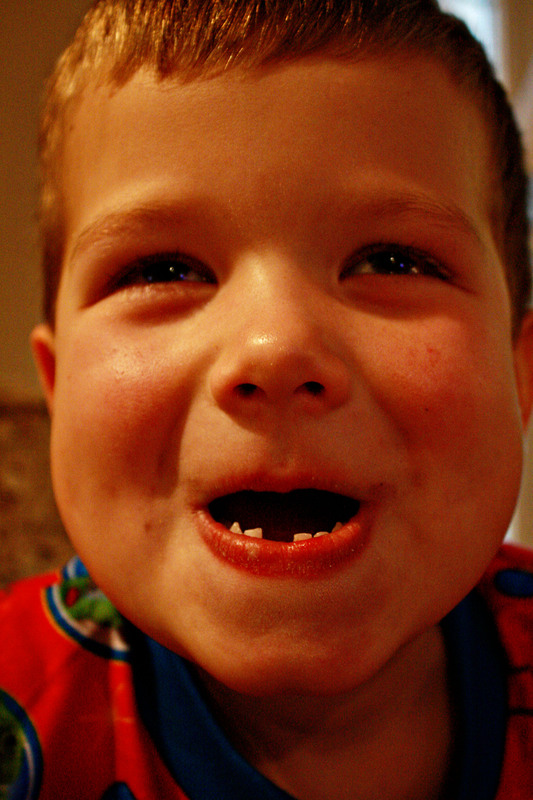 The photos of your family are wonderful, but this post really caught my eye because my 6 year old daughter also lost her first tooth this week. I love the way you chronicled your son’s big night in pictures! 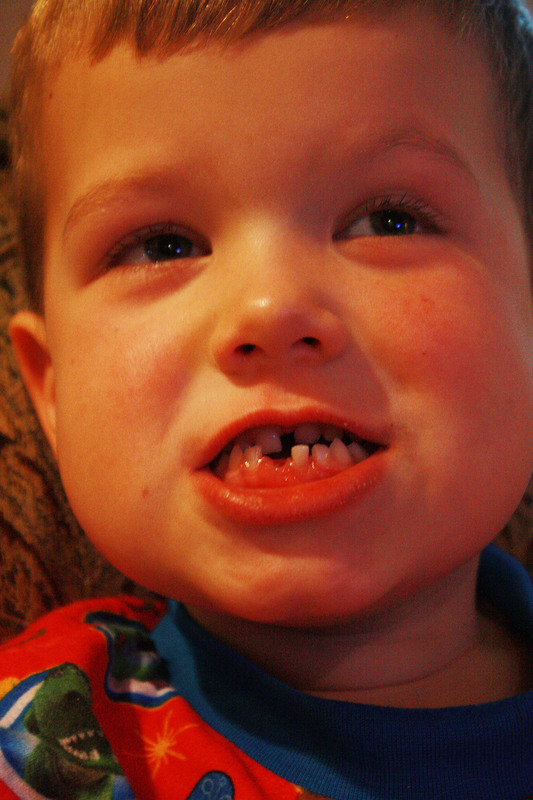 That must have been one busy tooth fairy!